This all-in-one liquid CPU cooler kit provides a 240mm heat sink, water pump, cylindrical water reservoir, dual fans, as well as installation accessories, which will dramatically improve heat dissipation experience, especially in terms of stability, silence, efficiency, and convenience. Liquid cooling simply works better than air cooling and the special design makes it easy for you to protect your valuable CPU. *CPU Block: The CPU block is constructed with a copper base to provide exceptional heat transfer and cooling performance. *Cylindrical Water Reservoir: The cylindrical water reservoir is manufactured from high quality transparent acrylic so that the circulation system is visible. 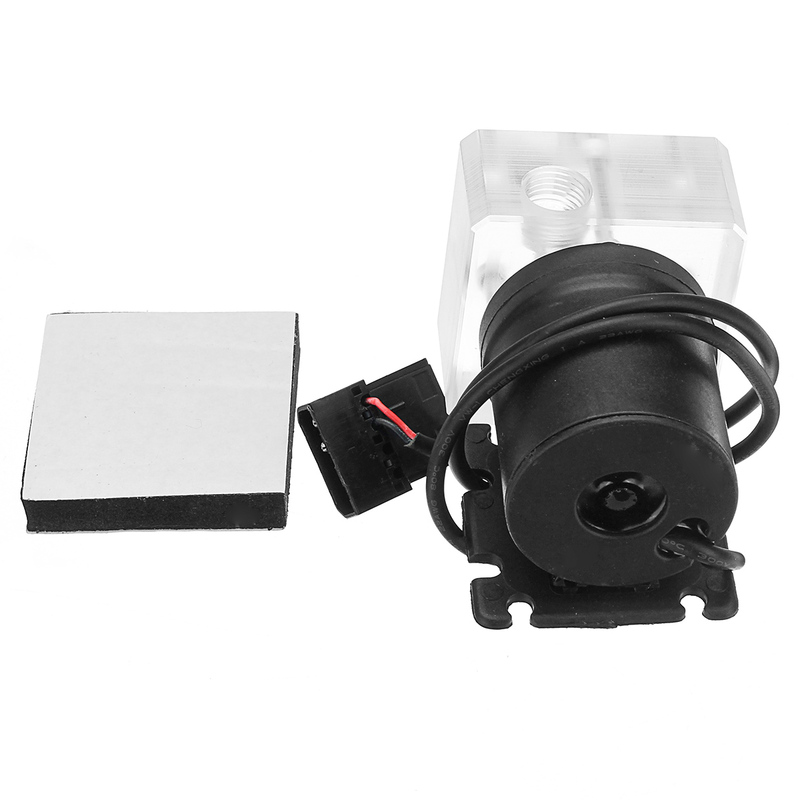 *Water Pump: Waterproof, stable, high quiet, long life. 240mm Heat Sink: Provide the excellent heat dissipation, as you need for highly overclocked desktop processors. *Transparent Hose: Upgraded flexible anti-explosion, hoses enable a space-saving installation and exceptional durability. *LED Fan: The extreme performance dual fans offer a high air static pressure with lower noise. Please allow 1~2inch error due to manual measurement. Thanks for your understanding.